Five-year-olds are enthusiastic learners and problems solvers. Their imaginations expand into a desire to solve problems in creative ways. They know counting, begin basic addition/subtraction, and telling time. This is an age where this enthusiasm for problem solving should be encouraged, and STEM (science, technology, engineering, math) skills can be developed in a fun ways through some of the products we have reviewed below. 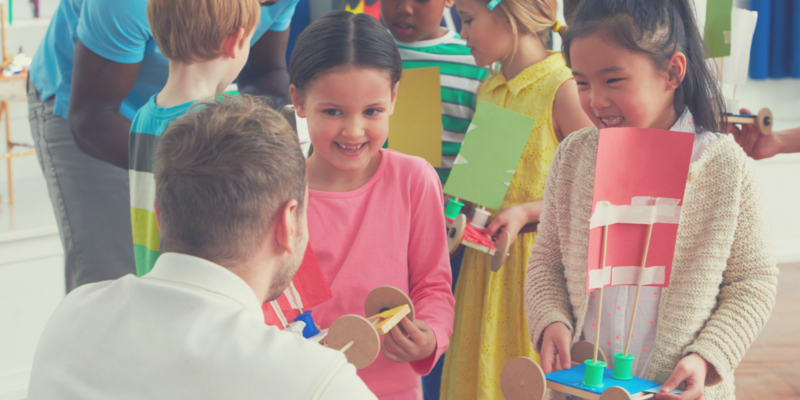 The secret to building STEM skills to early learners is tapping in their innate curiosity. They are already developing their engineering and math skills naturally through exploration. The Boston Children’s Museum has put together a great guide about teaching STEM skills to Pre-K children, including easy activities that will encourage them to explore further. A key point we want to emphasize is that with these activities and toys, it is important to build confidence at this age. Ask “what” questions, instead of “why.” This allows the child to feel more like an expert, instead of their begin a singular correct answer. For example, asking ‘What could the magnet pick up?” or “What happened there?” instead of “Why could the magnet only pick up certain things?” Some of those why questions, you may not even know yet! By asking the “what” questions, it is encouraging the child to observe and analyze the situation. Then, they will probably start asking you the “why” questions! 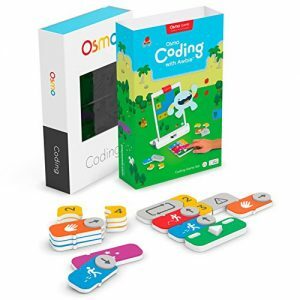 The best way to introduce coding patterns to an early learner is this game! It integrates with most iPads. You receive physical blocks that you put together in patterns (making it much better for younger learners that want something physical, not simply an app.) Then you guide Awbie on a Strawberry eating adventure! The child begins building problem solving skills and developing the logic patterns of a programmer. Join Ms. Frizzle on a science adventure. The kit has a variety of projects (some of which may be old for a 5-year-old, but most of them will be easily done and understood!) Do things like creating slime, a bouncy ball, milk rainbow, explode a volcano and more! 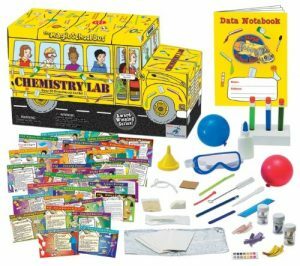 There are a lot of science kits out there, but this is the best one for the 5-6 year old age group. First, who doesn’t still love Magic School Bus? Adding the characters in does make it more fun. Plus, this kit is really reasonably priced and has a lot of activities, so you won’t run out of experiments soon! This fun kit simulates a real-life crystal hunt, and plays on the already active imaginations of 5-year-olds. It is a great way to get children excited about geology and the natural world that surrounds them. 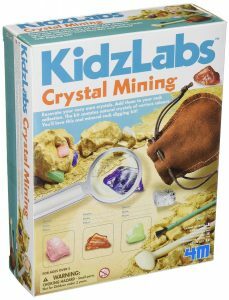 It is a great independent gift for a 5-year-old, as they will be able to “excavate” the crystals on their own. Some reviewers recommended wearing goggles. According to the manufacturer, the recommended age for this K’NEX set is 7+, but we are adding it to the list as it can also be a great option for your 5 or 6 year old. If you have a 5 year old already working with building sets, this one is great! Some of the pieces might be more difficult for a 5-year-old to snap together, so you may need to help. This kit is a part of K’NEX Might Maker series, geared towards encouraging girls towards STEM. 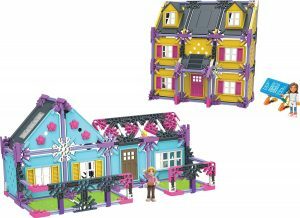 If you are looking for a really fun new building kit for a young girl who loves constructing things, plus playing house, this kit is a great option. You use an included story-based, color-coded building instructions to create a Colonial and Ranch style house. One frustration among reviews was that to build the other two designs, you had to log-on to knex.com for the instructions, so if you do decide on this for a younger child, you will have to help with this too. 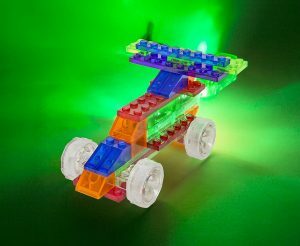 Laser Pegs are a flashy alternative to legos, but they also have a lot of fun kits that are great for this age! And at a really affordable price point. (This Kit is only $10 on Amazon). Develop building skills during this age further with this fun kit. And the car is really cool with lots of fun to be had once it is built! 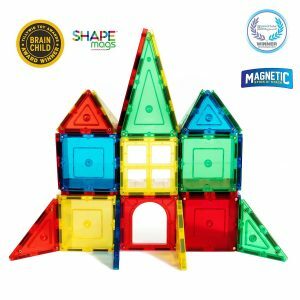 These are the offbrand (way cheaper) alternative to Magna-tiles, but they are also perfectly compatible with Magna-Tiles! If you have a Magna-tiles lover, you can buy these sets to add to the collection, so your creations can keep growing! These are great as your 5-year-old can really get creative while building STEM skills. Looking for STEM toys for 9-Year-Olds? Check out our guides for other ages too!